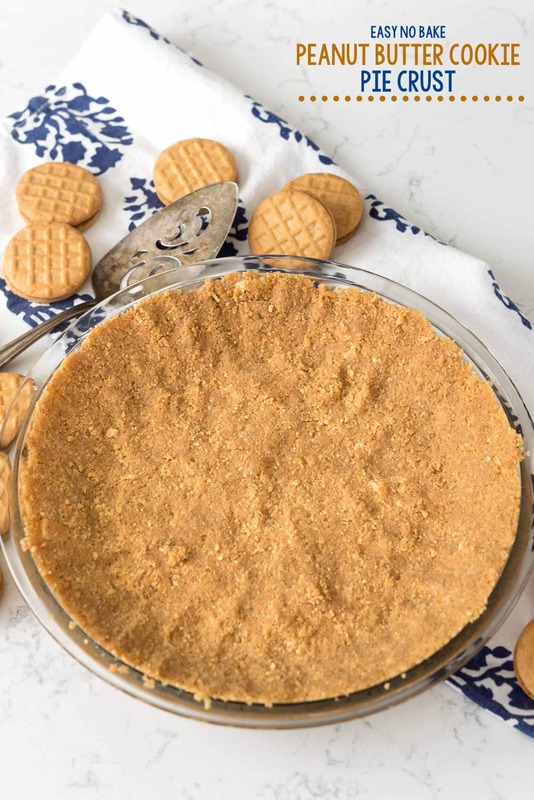 This easy no-bake Peanut Butter Cookie Crust is made with just 2 ingredients: peanut butter cookies and butter. 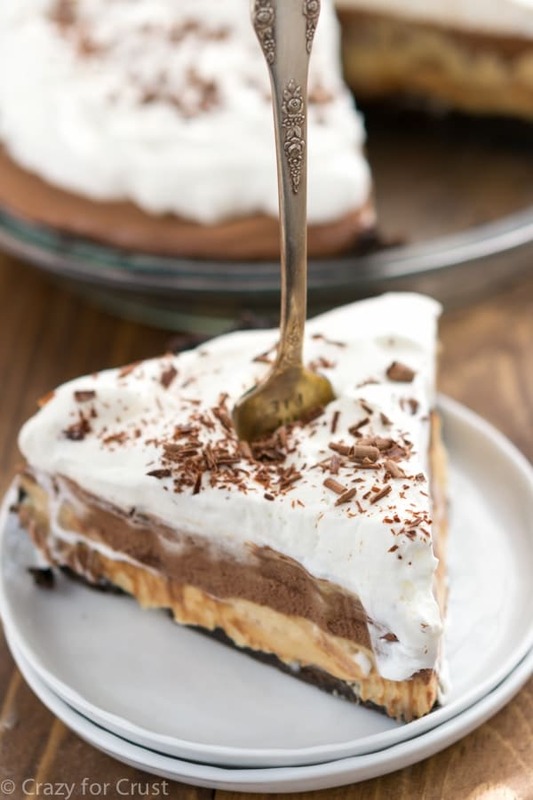 It makes the PERFECT no-bake pie recipe! You’re probably thinking…wow these photos look familiar. Hasn’t she made this recipe before? But nope, this is a brand new recipe. Maybe you’re thinking of my Golden Oreo Crust…or my Graham Cracker Crust…or my Shortbread Crust. They all kinda look similar, don’t they? But THIS crust is the BEST crust of all: it’s made with peanut butter sandwich cookies (aka Nutter Butters). This is the crust of my dreams. A few weeks ago, I asked Mel what his dream pie would be. You can probably guess the star was peanut butter because that’s basically all he eats from this blog. You’ll find out the completed pie recipe next week but I knew I had to give the crust a starring role in its own post. 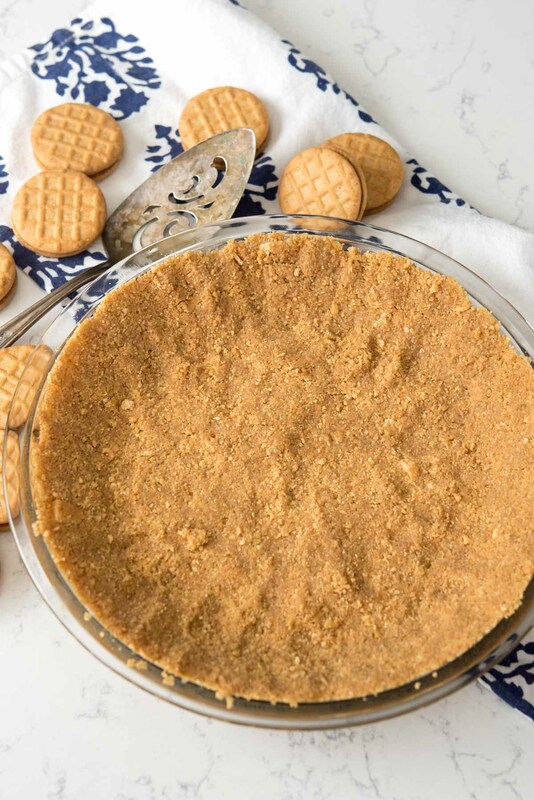 This Peanut Butter Cookie Crust is the perfect easy no-bake crust for any pie. You could fill it with no-bake cheesecake or dulce de leche or chocolate and peanut butter. 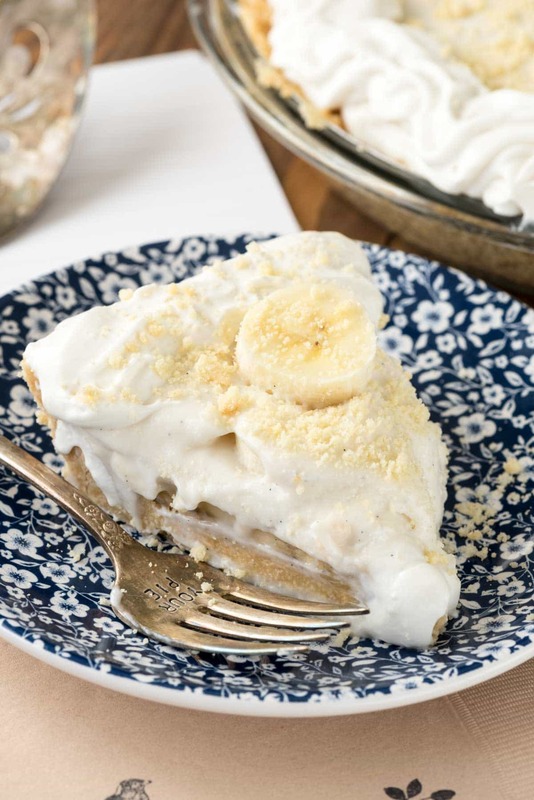 Heck, I bet even banana cream pie would taste AMAZING with a peanut butter crust, no? This would also taste good by itself over ice cream…or is that just me? There are only two ingredients in this recipe: cookies and butter. It takes no more than 10 minutes to make and then you have a pie crust that tastes SO much better than the kind that comes at the grocery store. Plus, they don’t even sell Nutter Butter Crusts at the grocery store! I ground my cookies in a food processor, but you can also put them in a ziploc bag and roll them with a rolling pin. Your choice! Then stir in some melted butter and you’re good to go. 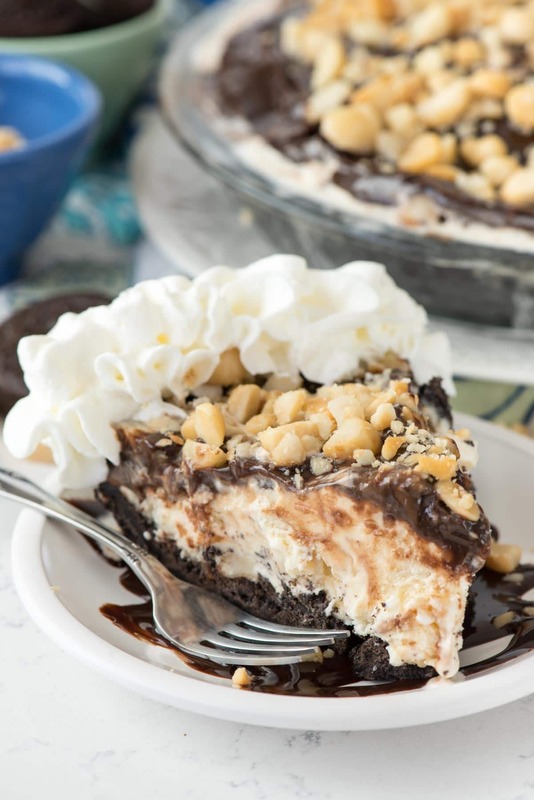 It’s the perfect fit for a 9″ pie plate and your favorite no-bake filling. The best thing about this crust is you can use ANY peanut butter sandwich cookie. Nutter Butters or generic (I got mine at Target), the Girl Scout version or anything you can find at the grocery store. I gave a crumb measurement as well as an approximate cookie count in the recipe because some cookies might be bigger or smaller than others. 25 of my cookies might be 20 of yours, etc. Stay tuned for next week…you’re gonna LOVE the pie I made with this crust! Finely crush the cookies in a food processor or using a rolling pin. Measure out 2 3/4 cups of cookie crumbs. Add melted butter and stir with a fork. Press into the bottom and up the sides of a 9" pie plate. Chill until ready to fill. Can this be used for a baked pie? I haven’t tried that yet, but I think so! do you use the cream filling as well as the cookie?